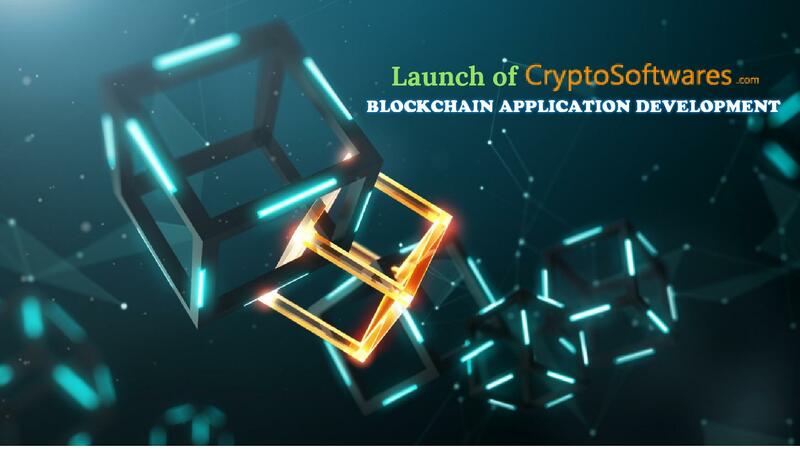 iOSS is proud to announce a launch of “Cryptocurrency and Blockchain Application Development Services” as cryptosoftwares.com. Having been a ubiquitous presence in software development for nearly a decade and after successfully launching Direct Selling Software and Taxi Dispatch Software, we have launched a range of specialized services to help businesses to gain access to new-world technologies. Blockchain applications and Cryptocurrency are two revolutionary technologies of the recent times that has managed to break way into every vertical of the business in the world. Be it fundraising, contract execution, digital tokens, supply chain management, money transfer, record keeping or data management, blockchains are there in every bit. We have put in our knowledge and technical expertise to help business houses around the world to surpass geographical boundaries and connect with each other through over safe and reliable networks. Develop decentralized blockchain applications for your business and experience transparency and accountability like never before. Blockchains are decentralized digital ledgers that can record anything of value. We offer you Cryptocurrency development using blockchain technology. so that you can develop custom cryptocurrency tokens based on bitcoins and promote it in style! You will receive also your coin’s source code and the wallet details. Create a cryptocurrency wallet and make a transfer of crypto coins a very easy task. Along with that, you can enjoy the added benefits of reliable transactions with complete anonymity. Initial Coin Offering (ICO) is a mode of crowdfunding a project in which creators of the project sell ICO tokens in return for money. Creators commence the projects with money accumulated by this method. The investors earn profits when the value of token grows. Move a step ahead from trading cryptocurrencies. Create a cryptocurrency exchange platform and give people a platform to buy and sell cryptocurrency. You will get a handsome commission for each trade on the platform. ERC20 tokens are developed based on a set of protocols called ERC20 on the ethereum platform. This protocol defines the sharing, exchange, and transfer of tokens to the crypto wallet. With the universal code, any new token created can be accommodated in the wallet, making the whole system seamless and profitable. Get rid of the privacy concerns associated with public blockchains. Develop permissioned blockchain applications with endless customizations on Hyperledger Fabric, the most trustworthy platform. Now, don’t let time hinder the money transfer process. Now, you can develop blockchain assisted Money Transfer Application and do your international money transfers in a span of seconds with almost no processing charges. With digital health record system on permissioned blockchains, the patient is at the helm of his health information. He can give access to the doctors, paramedics, pharmacists, and insurance agents when he wants to with something as simple as SMS. Developing smart contracts for your business will eliminate the dependence of third parties for ensuring the execution of the contracts. Smart Contracts are self-executing in nature and is reliable and trustworthy. Are you in control of information regarding your digital identity? With storing of your digital identities in permissioned blockchains, you will be in charge of your digital identity and you can share it with whom you wish. Get into the bandwagon and adopt the blockchain technology into your business today.